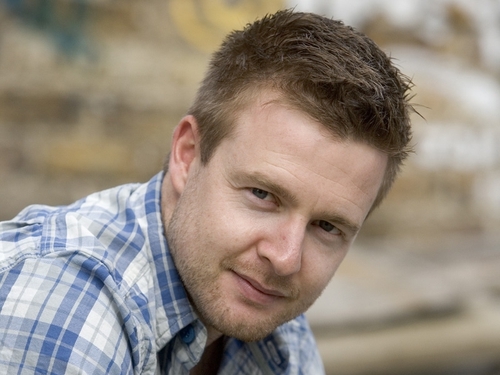 RTÉ star Aidan Power has revealed that he was not surprised by the decision to axe 'The Cafe' after six seasons. RTÉ's plan to revamp children's schedule for next autumn and bring in some new programmes, resulting in them axing his long-running programme. Speaking to The Evening Hearld the presenter said: "That's the nature of that beast and it's always evolving. I've been through several different cycles in there and you just come to expect it." However the presenter, who was also involved in 'The All Ireland Talent Show', has said he has no burning desire to move on from kids TV in the immediate future. "It was the best training ground for all of us and most of the presenters want to hang on and do another show and I would be more than happy to continue to keep working there if I need to. It's a bit of a cliche but I am looking at a number of projects and considering my options." The cast and crew of the RTE show bade a final goodbye to the programme with a special edition last week, followed by a party in Lillie's Bordello attended by stars including TG4's Daithi O Sé, Kathryn Thomas and Katie Taylor. "We were all definitely a bit nostalgic about it and we had a great last year. We really wanted to celebrate it, not mourn it. I've done it for six seasons, it's a good achievement and it got a good run." According to The Hearld he will now jet off to America for a break with his girlfriend of two years, PR girl Vivienne Bushell.